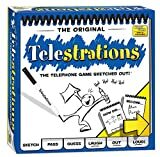 WELCOME to Telestrations, the visual version of the classic "telephone"game... where your sketches & guesses can create laugh-out-loud party fun! It's the game where you DRAW what you see, then GUESS what you saw! Place card box, sand timer, clean-up cloths & die in center of the group. Decide as a group which cards everyone will be using, "THIS SIDE" or "THAT SIDE". Each player selects a sketch book, one marker & one card. Write your name in the front of your sketch book and remember the color of your coil. Select a player to roll the die to start the round. 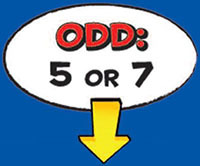 Match the number rolled to the word on your card. Secretly write it in your book. Don't say it loud or show it to anyone! Note: If there is a blank space on your card that matches the number rolled, you get to make up any word(s) you want. If you see an underlined category, such as "TV SHOW", you get to make up any word(_) in that category. If you see me on the bottom of your card you get to pick any word you want from the card! Turn to 'SKETCH IT" page 1. Get ready to secretly draw your word. Now continue on to step 3. PASS BOOK TO PLAYER ON LEFT! That player secretly looks at your word, then gets ready to draw it on "SKETCH IT" page 1. Now continue on to setp 3. 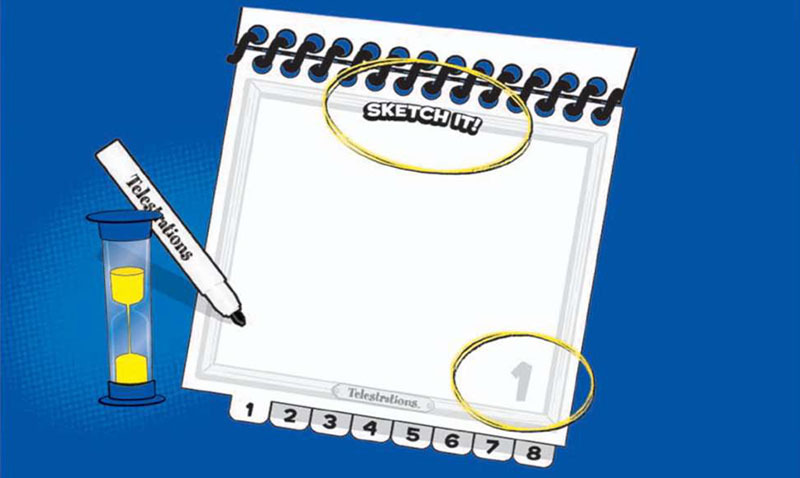 Everyone should now be on "SKETCH IT" page 1. Flip the timer. You have 60 seconds to secretly draw the word. When time's up, take a couple seconds to finish up. Don't leave it blank! Turn to page 2 to hide your sketch & pass open book to player on your left. Now everyone should be on "GUESS IT" page 2. Flip back to the previous page & take a few seconds to secretly look at the sketch. Then return to page 2 to write your guess. 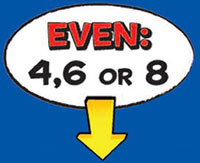 Flip forward to next page & pass open book to player on your left. Flip the 60 second timer... everyone continues to sketch, pass & guess until players get their own book back. Note the color of your sketch book coil to ensure it is your book. Now that everyone has their own book back, it's time for the Big Reveal! 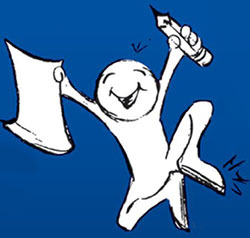 Take turns flipping through & sharing the SKETCHIN & GUESSIN' outcomes in your book! No letters or numbers, your best to draw your word, me, it will lead to the most fun! Don't just put a question mark or leave the page blank. Write any guess... no matter how silly it may seem. When you're finished sketchin' or guessin', flip forward a page and wait until all players are ready. Everyone passes open books at the same time. Did you have fun? Well, then you've won! What about keeping score? If you'd like to do so, there are two options in the "scoring'' section. Wanna play again? I don't blame you! Here's whatcha do... First, everyone erase pages 1 - 8. Next. return used cards to the card box & everyone gets a new card. To mix it up, reverse passing direction for another round of fun & laughter. So you wanna keep score? 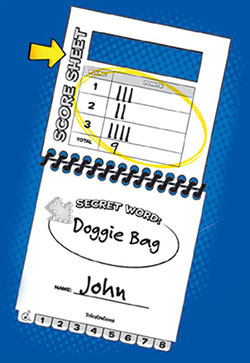 Each player will use the score sheet in the front of their book to record their points during each reveal. A game is played in 3 rounds. After 3 rounds total up your points.The player with the most points... well you know! 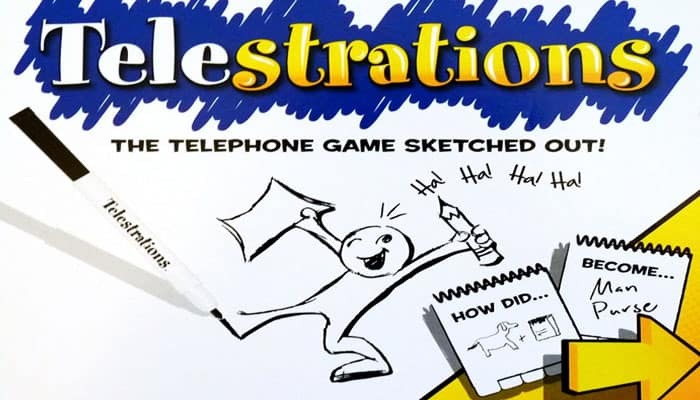 Give 1 point to the player with your favorite SKETCH in your book. Give 1 point to the player with your favorite GUESS in your book. 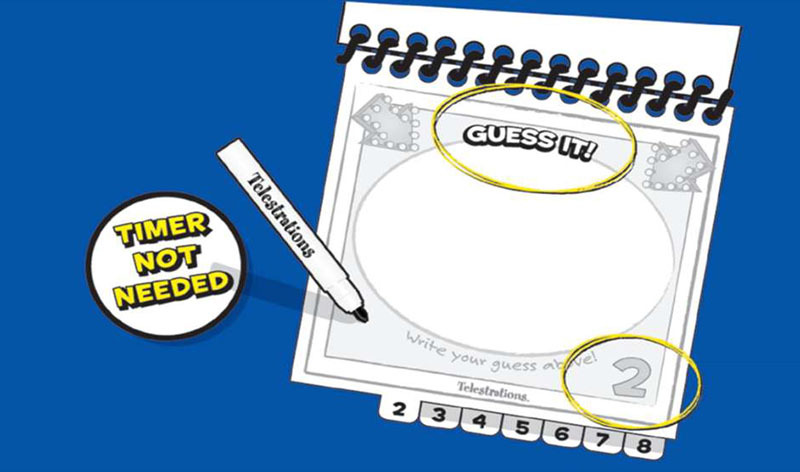 Guessers earn 1 point if their guess matches the secret word or previous guess. Give yourself 1 point if the last guess matches the secret word. Switch seats or remember to reverse passing direction. Sketch with your less dominant hand. 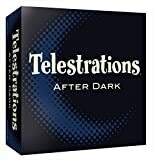 Create your own cards with words themed to different categories such as TV shows, movies, famous people, cartoon characters, superheroes, food, animals, sports, family, the 80s (any decade)...or customize words to your next event, like a family reunion, baby shower, bridal shower, block party, etc. Make sure all sketch book pages are completely erased and clean before storing back inside game box, as ink may stain the pages. Recap markers after use. 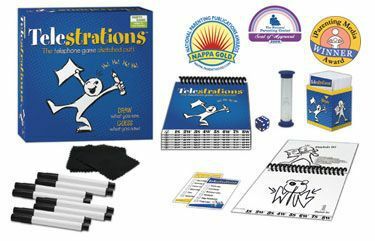 If a marker dries out, use any dry-erase marker and keep on playing. Dry-erase markers may stain fabrics and some surfaces. Protect play area before use. Avoid contact with carpet, clothing, walls and furniture. Keep away from eyes and skin.